New this year, we will be using online voting. Click the link below to vote for your favorite Fischgaard films. Registration opens up January 14th. Registration is limited and entrants are accepted on a first come first serve basis. Online registration closes on February 14th, after which you may sign up at the Red Rooster kickoff, if space is available. Team entry fee has increased this year. The new cost will be $25/team. The Fischgaard Short Film Project takes place once a year in Aberdeen, South Dakota. It's mission is to motivate independent filmmakers and to enhance film as art in South Dakota. During the competition, filmmaking teams create a movie - writing, shooting and editing a four to seven minute film - all in one weekend. It is open to professionals and amateurs alike. The films are adjudicated and awards are handed out following the public viewing. Public viewing Sunday, February 17th, 6:30pm at the Capitol Theatre. This year's event occurs from February 15-17, 2019. The filmmakers' kickoff event (where participating teams learn what the required elements are) is Friday, February 15th, 5:30pm at the Red Rooster Coffee House. 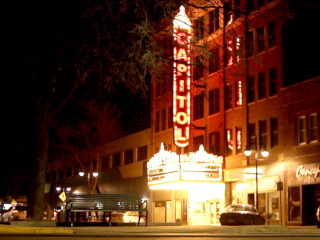 The public viewing is Sunday, February 19th at the Capitol Theatre. Tickets to the public viewing are sold at the door beginning at 5:30pm for $5 per person. Doors to the auditorium open at 6:00pm.